grace and frankie | Hey nerds! 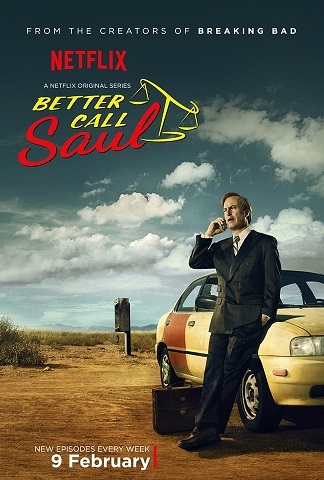 24 hours after the release of the trailer for its exclusive ‘Breaking Bad’ spin-off ‘Better Call Saul’, it’s clear that Netflix is the future of TV. Sure, Sky has ‘Fortitude’ coming up and all the HBO shows, not to mention Amazon coming up from behind with their own streaming service (and a commitment to movie production with their new film studio plans), but Netflix’s 2015 schedule of new and returning shows is a reminder that we are in safe hands. For a small fee, of course. As well as ‘Saul’, which seems set to be a wisecracking companion piece to Heisenberg’s straight-up crack, there is a slew of streamable telly treats coming our way. New ‘House of Cards’ in Feb and ‘Orange is the New Black’ in summer have come to be expected now, but no less cherished; meanwhile, the increasingly eclectic mix of genres looks set to continue with dark US family drama ‘Bloodlines’ approaching in March, mere weeks after ‘Unbreakable Kimmy Schmidt’, Tina Fey’s irrepressibly bouncy-looking new NY sitcom. Fey’s new show looks unashamedly girly (more ‘Mean Girls’ than ’30 Rock’ perhaps?) and Netflix’s penchant for girl power shows looks set to continue with Jane Fonda and Lily Tomlin in ‘Grace and Frankie’, which may be a gamble but a potential surprise hit if NF’s track record is anything to go by. And, of course, there’s movie-inspired mayhem from ‘Matrix’ minds, the Wachowskis, with their new original series ‘Sense8’ and the first in a promised run of Marvel off-shoots with a ‘Daredevil’ reboot come April. And I get the sense this is still just scratching the surface of a potent TV revolution – bring it on, Netflix!